We have your back, every step of the way. Our team is available to answer any questions that you may have about our products or services. To get in touch, simply fill out this short form or give us a call at (888) 585-6511. 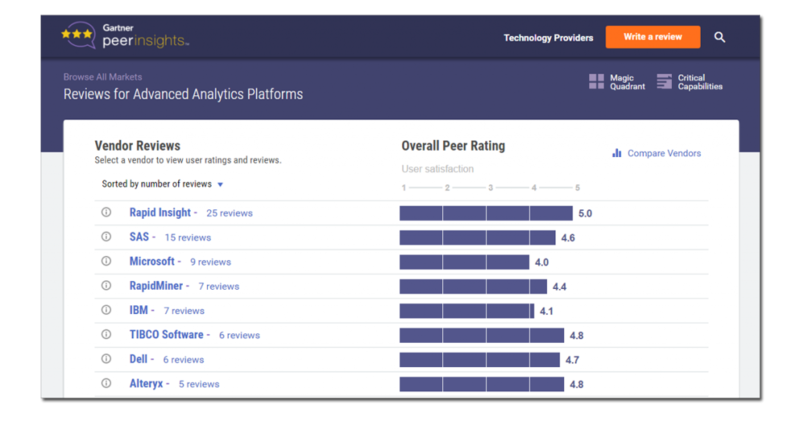 With a perfect five stars, Rapid Insight is rated #1 by users of advanced analytics and data science platforms on Gartner's "Peer Insights" customer satisfaction survey.